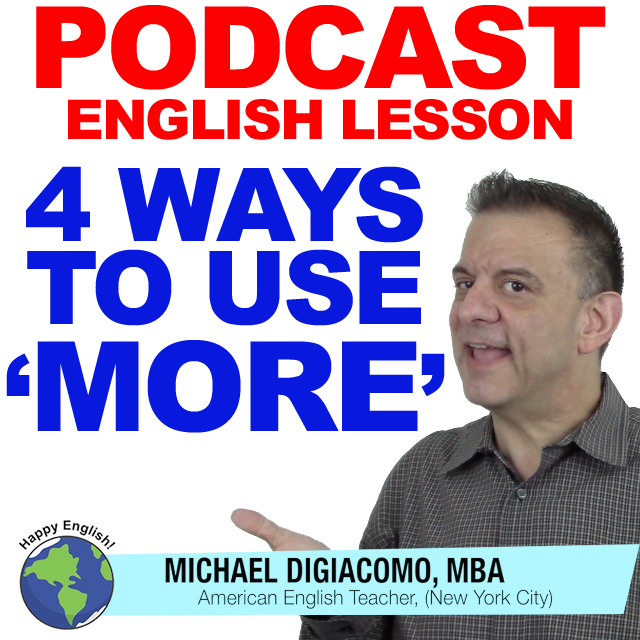 In episode 249 we look at a few ways to use more with nouns. For today’s English lesson I’d like to show you four other patterns that we use with more. I need about two more hours to complete the report. Jack said he needed to have one more statistic about the project. I drank three more glasses of water after dinner. I don’t have any more time in my schedule this week. Do you have any more information about Jack’s project? I’m full. I can’t eat any more pizza. Can you give Jack some information about the presentation? He said he needed more. I’ve had too much coffee this morning. I can’t drink any more. New York has more taxis than Miami. Jack said he has more work than his boss. Do you have more time tomorrow than today?